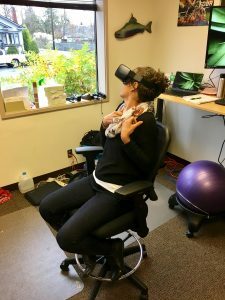 Have you heard about the recent breakthroughs in Virtual Reality? From video games to smartphones, VR is rapidly becoming a hot button item in the technology world. This technology is expected to matriculate into the realm of education in the near future. Many of you have heard of the tool Nearpod. Mainly, Nearpod has been used as a presentation and assessment tool. Recently, Nearpod has released a new product called Nearpod Virtual field trips. This product uses the same technology as the aforementioned entertainment virtual reality devices, but puts an educational tilt on it. VR roller coasters are scary!